So it’s Superbowl Sunday – here at home, at CBS where the always excellent Sunday morning show still delights even if the usual audience departed to begin the marathon of pre-game shows – and in Afghanistan, where Sunday morning may be indistinguishable from any other morning. And where today is the 123rd day of the tenth year of the war. This morning Christiane Amanpour debuted as new host of ABC’s This Week show. She’s a real reporter, a substantial journalist who has reported from all over the world and has brought us serious and illuminating interviews with many world leaders. Illuminating is what I look for from Amanpour and hope to see on ABC Sunday morning as this show finds it voice. So I hope this first show reflects the cowardice of the producers and not Amanpour’s vision. A bunch of same-old, same-old. If this is to be the show, ABC could have just kept Jake Tapper in the chair. There were two interviews – Nancy Pelosi and Sect’y Gates (she asked better questions than her predecessors) , the Round Table (same name, same people including George Will and god-help-us-all Donna Brasile) and the “Sunday Funnies”. 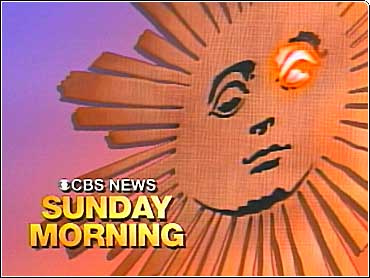 A disappointment – but until the lady gets her sea legs, there is always the best Sunday morning show of all time, CBS Sunday Morning which I’ve watched since it first showed up at my weekly place of worship – with the late Charles Kurault at the helm. Meanwhile, I’ll keep an eye on ABC and keep my hopes high.